- "Success in the highly complex 21st century global economy will be determined by the inner sustainability of It's people"- LeaderBoom Inc.
- " I've seen more change in the past three years than in the past twenty. 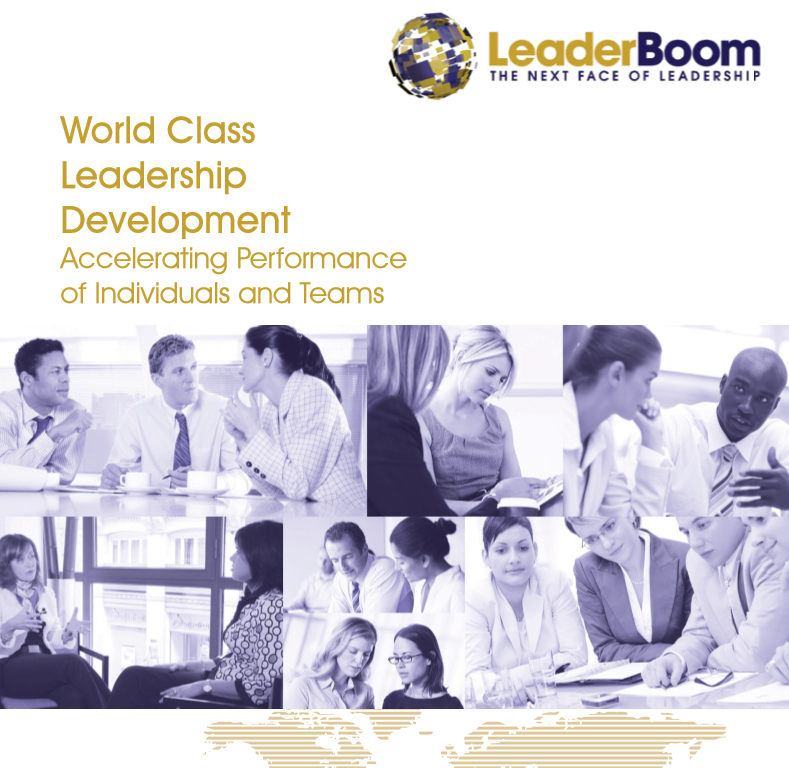 "- Gene Hall, CEO of Gartner Inc.
Building Your Cross-Cultural Leadership Competency from LeaderBoom Inc. on Vimeo. The world is changing and those changes are accelerating rapidly. The pillars of traditional hierarchical thinking are crumbling thanks to the power of social networks, increased transparency, and dramatic shifts in global demographics. Business transformation through process automation is a key area of global focus, and yet it is not the only trend on the horizon. According to a recent CIBC World Markets Report, there's also an increase in cooperation forming between smaller and larger firms to create temporary work clusters. From our observation of this phenomena, cross-sector clusters are forming for the purpose of developing new strategies, ‘just in time’ solutions, networking and forecasting of business cycles that are tough to pin down. As if the globe did not have enough on her plate, C-level executives of High-Value Add firms are creating breakthroughs in exponential growth and reporting e-tech, clean-tech and ‘many-other-techs’ as evolving beyond human capacity to adjust to their releases. Notwithstanding these enormous pressures, every layer of leadership is expected to stay focused, remain calm during chaos, adaptable, open minded, positive and focused on the bottom line. The 21st Century is a Hero’s Journey. Self-awareness is the first component of emotional intelligence. According to Maslow, it represents growth of an individual toward fulfillment of their highest potential and meaning in life. In Maslow’s theory of self-actualization, individuals are recognized as an integrated organized whole. From a 21st Century leadership perspective, the more responsibility leaders have ~ the more challenges they are required to face and impact those around them. When we create expansion in our organizations, we must also develop the human potential in our teams to help them navigate increasing complexity with purpose, meaning and relative ease. From our research with 50 leaders in organizations spanning 4 continents, a systemic issue facing their teams is a need for purpose and meaning. A similar outcome was reported in a 2016 ILO report, where 324 experts from 54 countries agreed that technological advancement is making the boundaries between work and personal life more and more difficult to identify. To be successful in the 21st Century, emerging leaders must cultivate a strong foundation of inner sustainability by integrating self-awareness practice into their daily routines. The benefit from doing this is to become aware of the emotional, personal and cultural drivers of themselves and their teams. How do they achieve this? 1) Who Am I (As A Leader)? : To align to purpose and meaning in career and life, it's important to have a clear sense of our unique skills, values, passions and opportunities for growth. We cannot express our full potential, if we do not have a clear sense of who we are. 2) Why Am I Doing This? : Committing to a new role or activity is a big deal. It is an investment of our time and energy and can impact a lot of people. If your objective is to actualize your full potential, to create meaning and purpose in your life, than it's important to reflect on why you do what you do. What are your true motivations? Are they sustainable? Will the role stretch you? What might you learn from the experience? If the role does not resonate, do you have the courage to say no? Why do you do what you do? 3) Where Am I Going? : If we commit to a role, we must be clear on the goal. Asking good questions that create goal clarity is essential for generating success and especially where 21st Century business strategies will adjust over time. If we're not clear on goal expectations, we're likely not going to achieve them. Cultivating self-awareness is a journey and can eventually be developed as a centrifugal force for creating inner-sustainability in global leaders experiencing high degrees of pressure and change. This is particularly true when leaders commit to practicing a variety of inner reflection exercises coupled with go/no go decision frameworks, and experiential learning from applied practice. The global economy is bifurcating into two worlds operating under very different paradigms. 1) Command and control hierarchies and 2) Increasing-returns value-add business characterized by observation, intelligent positioning, collaboration, focus, inspiration, innovation, intuition, and strategic play. Successful execution in the 21st Century requires a focused, empowered and conscious effort from the entire team ecosystem. 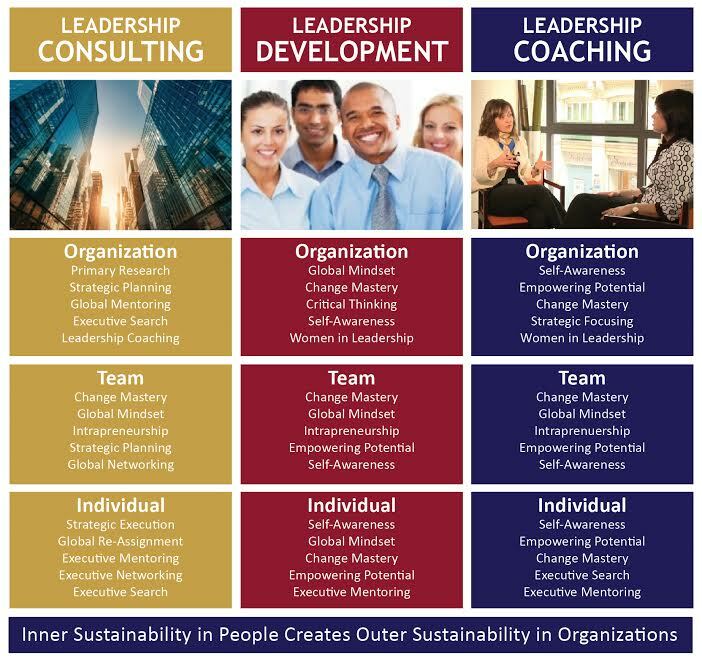 Building inner-sustainability in leadership teams has a lot of upside potential. Doing nothing (no inner- sustainability development), is also an option albeit forcing teams to mobilize around perpetual change and challenge will eventually override their human spirit and desire to sustain high levels of performance. The world is changing at a pace where workforce development can no longer be ignored. The 21st Century business imperative is to build self-aware leaders capable of harmonizing expanding work environments and achieving exceptional results with less effort. Cultivating leadership self-awareness during a time of unprecedented change makes good business sense, demonstrates company support, and reinforces the message that individuals can handle whatever may come their way. Subscribe to our mailing list to receive news on upcoming workshops and teleseminars! Copyright © 2019 LeaderBoom. All Rights Reserved. Template by Sport2mation.com. Template by JoomlArt.com. Joomla! is Free Software released under the GNU General Public License.